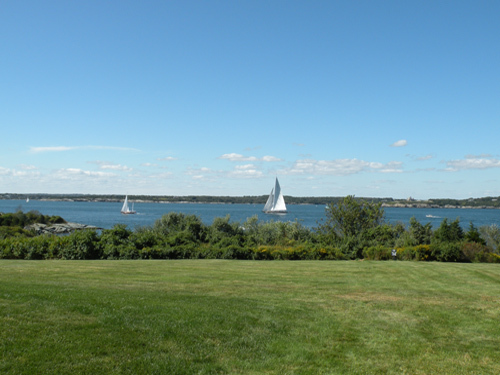 Of all the amazing Newport Rhode Island hotels, there aren't many that enjoy the stunning ocean views that OceanCliff is blessed with. 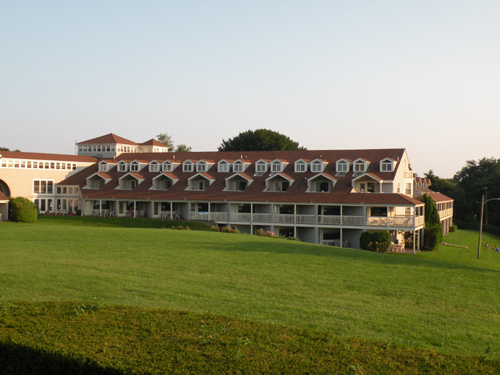 OceanCliff is situated on 10 acres of oceanfront property, in between Fort Adams and the Castle Hill Inn and Resort on the world famous Ocean Drive. 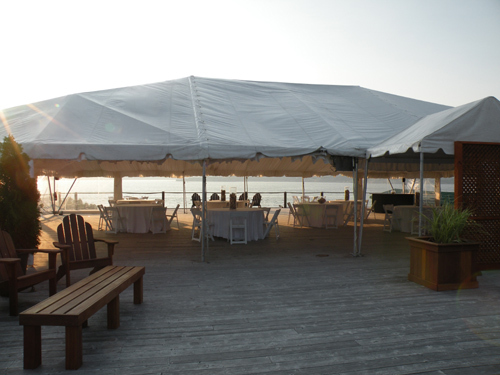 In addition to it's hotel and Safari Room restaurant, OceanCliff is also one of the best wedding destinations on Aquidneck Island. 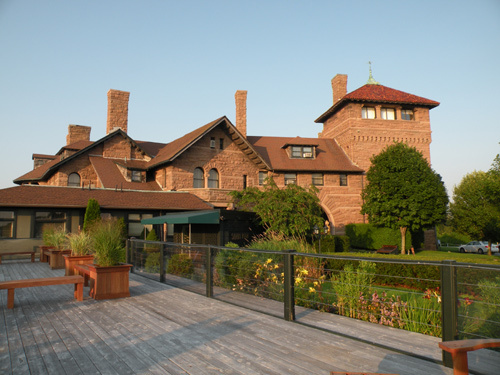 Many couples choose this picturesque location for their special day for the view alone. I can't say that I blame them. 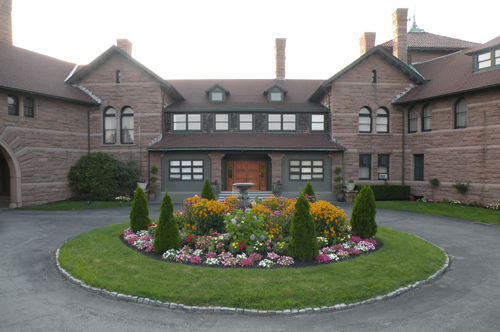 The same firm that designed the Breakers mansion for the Vanderbilts, and Rough Point for Doris Duke designed this home in 1864. 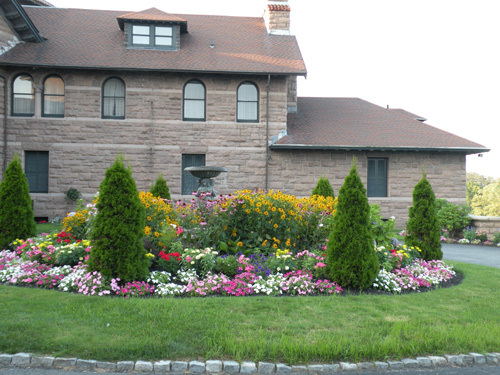 It was a private residence until being sold in 1954. 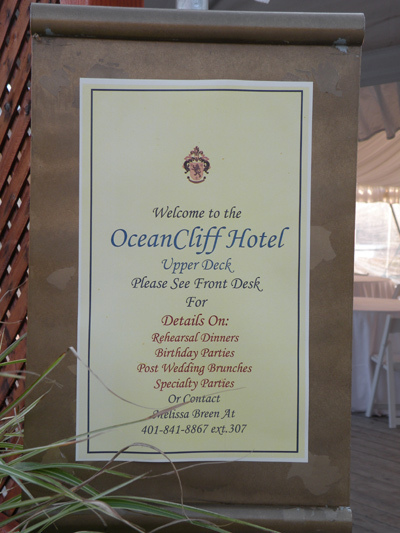 Today, OceanCliff is a hotel (25 rooms), seasonal restaurant (The Safari Room) and banquet facility. 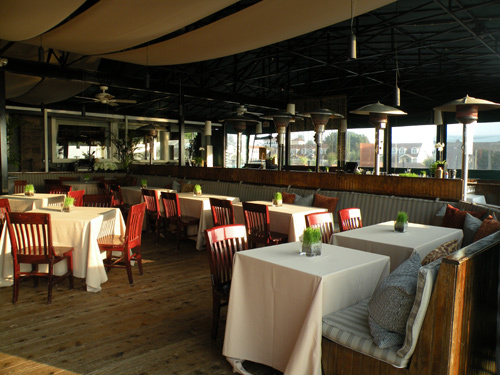 The ballroom can host up to 250 guests for dinner, and there is also a dance floor and smaller rooms to use as you wish during events. 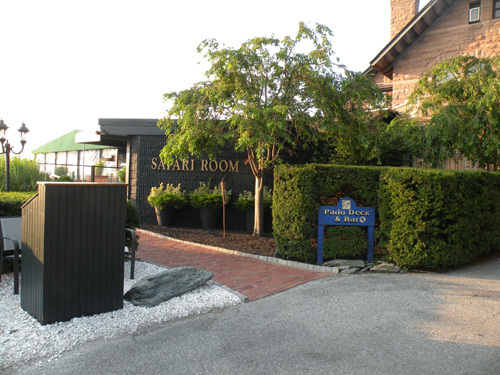 If you'd like to enjoy amazing panoramic views of Narragansett Bay while you dine, then the Safari Room is a great choice. 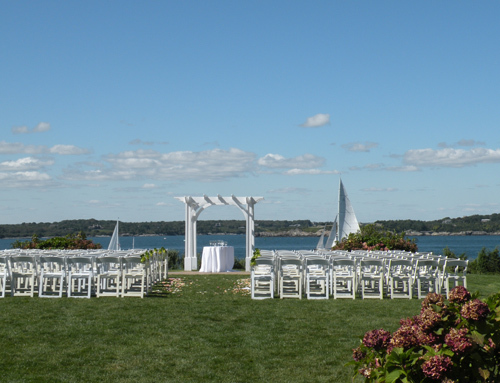 If you're planning a Newport RI wedding, you should definitely see OceanCliff before deciding on a location. 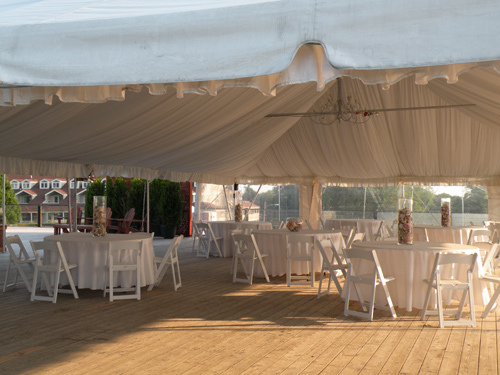 There is ample room inside the ballroom, in the Safari Room and outside on the deck (under a tent) to accommodate all of your guests. And did I mention the view? 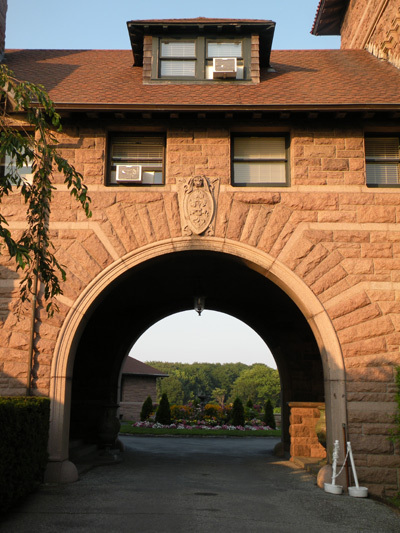 There aren't too many better locations with sprawling lawns and panoramic views of Narragansett Bay and the Newport Bridge. Right next door, but totally separate from the resort, is the OceanCliff I and II timeshare property. You can make reservations to stay here or purchase your own timeshare by calling 800-228-2968 or 401-846-6667. 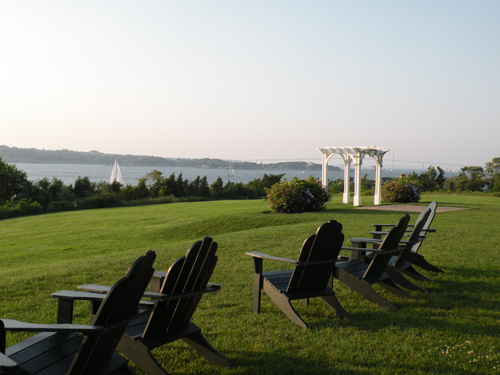 If you're looking for one of the best Newport Rhode Island hotels and/or best wedding destinations, you can't go wrong here.